That Granite Gear and Therm-a-rest combo. Having been blogging about long distance hiking for three years now, I only just realized that I don’t have a gear checklist published on this site. My mom pointed this out when she had to visit someone else’s blog while preparing for her last backpacking trip. Sorry I made everyone wait for so long. Here’s my packing list and recommendations. Backpack. For comfort I like the Osprey Aura 50 (this isn’t the exact model I have, unfortunately, they no longer sell the one I have) and for a light base weight I go with the Granite Gear Crown 60. Sleeping bag. I love my Zpacks 10 sleeping bag. Sleeping pad. 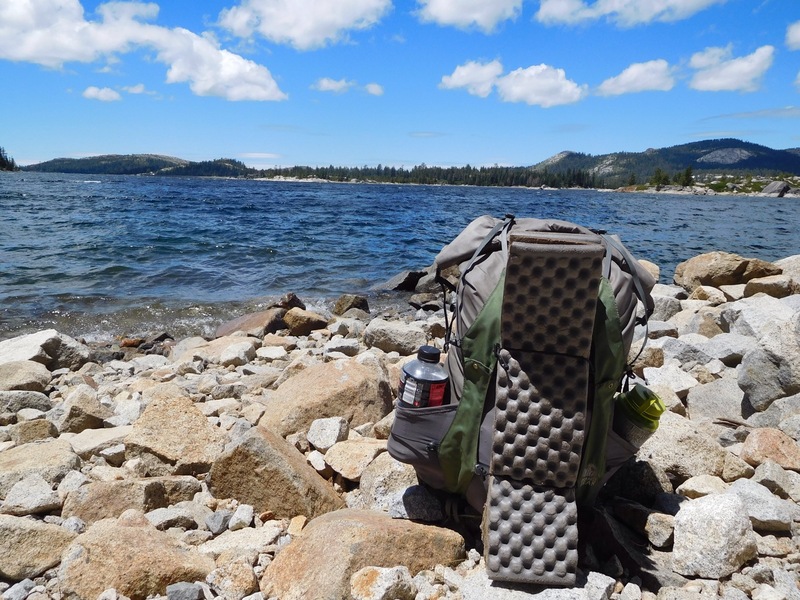 For a low price go with the Therm-a-rest Z Lite foam pad. For comfort, NEMO has a good line of inflatable sleeping pads. Shelter. So many options. For a lightweight tent that requires trekking poles for set up I like my Six Moons Designs Lunar Solo. For summer in regions with trees, I’m hopelessly dedicated to my Hennessy Hammock Hyperlight. For work I have a cheap tarp that I string up between two trees, an art worth knowing. Water treatment. I’ve always been happy with my Steripen Adventurer, and occasionally I go with Aquamira Water Treatment Drops. I don’t need to remind you to pack beer. Water storage. Know how frequently you will come across water sources before you start. For many places on the Appalachian Trail, I only carry two liters at a time. For hiking in the Utah desert, I always have capacity for at least five liters. Stove and cooking pot. This is optional, as some hikers cut weight by eating cold food and other hikers simply dislike cooking. I have been using my MSR Pocket Rocket for six years now, and it still works. I’ve been using a Toaks titanium cooking pot lately. Toiletries bag. And everything in it. Two dry bags. One for clothes and one to use as a food bag. Hiking shoes. I always go with trail runners. It looks like my favorite, Altra Lone Peak 2.0, is no longer available (not sure if the Lone Peak 3.0’s measure up). But my second favorite, Salomon X-Mission, are available. Clothes to wear while hiking. Shorts, t-shirt or tank top, sports bra. Rain jacket. I’m happy with my Outdoor Research Helium II. Top base layer. I’m obsessed with my Smart Wool midweight. I’m in love with my Hennessy Hammock. Down or synthetic puffy jacket. Warm clothes to hike in. Add a pair of hiking pants and make your top base layer your hiking shirt. Rain pants. Breaks the wind and keeps you dry. Fleece or extra top base layer. Only if the weather will be cold enough that your puffy jacket won’t be enough. Sleeping bag liner. Depending on the rating of your sleeping bag, a liner may or may not be necessary. Just a thought for those who like hot meals on their hikes- might want to check out this self-heating food container. just text “easyheat” to 22812. it is a pretty interesting read and gives ideas for the heater which provides hot food without fire or electricity. Your rain jacket links to a Men’s Jacket.. Is this what you use? I’m curious because my broad shoulders have been making finding a jacket that fits incredibly difficult. Yes, that’s the rain jacket I use. I like it a little on the baggy side because I wear jackets under it in cold weather. Victorinox classic-sd is a cute super light little knife that can open meals trim toenails with precision tweeser ticks and do some very light duty carving too. It weights well under an ounce. I find it disappointing that whenever blogs recommend gear its always ridiculously priced. Yeah, lightweight gear is pretty pricey. There’s always budget options. When I first started out my pack was so heavy because I usually went with the cheapest option.